Pressing the Change Status button will allow you to change the status for a group of statements. Pressing this button will bring up the following screen. The first thing you will need to specify is which statements you wish to change. This can be done by selecting the Batch option or the Selected Statement(s) option. Batch: Selecting Batch will allow you to specify a certain batch number, and change the status for all statements within that batch. Selected Statement(s): This option will allow you to change the status for a statement or group of statements regardless of batch number. In order to select multiple statements, you will need to hold the [CTRL] button down and click on the statements you wish to change. This must be done PRIOR to pressing the Change Status button. After selecting which statements you wish to change, you will need to specify the current status of the statements you wish to change. The Status From field will allow you to only change statements that have a certain status. You also have the ability to change all selected statements regardless of status. This is done by selecting the Any status type field. Once you have selected the current status you wish to change, you will need to select the new status you wish to assign to the statements. If you would like, you can change the billing method from paper to electronic or vice versa. This is done using the Billing Method From and Billing Method To fields. The process is completed by clicking the OK button. There are two types of patient statements. Standard Statement: This type of statement will show all charges that have a balance on them. The balance shown on this statement is the Patient Reference Balance. If you print or send standard statements, your patients will get statements showing a balance that may not reflect the amount the patient will need to pay. For this reason, we recommend that you do not use standard statements for patient billing purposes. Remainder Statement: Patient remainder statements will show the charges that make up the patient remainder balance. This means that charges that have not yet been paid by responsible insurance carriers will not appear on these statements. We recommend that you use remainder statements for patient billing purposes. Missed Co-pay Remainder Statement: The only difference between this and the Remainder Statements is that this statement will include missed copays in the total amount due. In order for this statement to work properly you must turn this function on in Program Options by checking the Add Copays to Remainder Statements field in the Billing tab. This statement function is only available using Statement Management. Capitated plans are a different type of insurance plan. This type of plan pays the doctor or group a specific amount of money to see a group of patients each month. This amount is paid regardless of how often these patients are seen. This means that the payments are not related to specific charges. In the Date field, enter the date you received the capitation payment. Select Capitation in the field labeled Payor Type. The screen display will change. You will note that the code fields will no longer be available to you. In the field labeled Payment Amount enter the amount of the capitation payment you received. The Insurance field should contain the insurance code for the carrier making the payment. Enter any other fields as necessary. You will see the capitation payment listed on your deposit list. You will not be able to apply it. Because the payment is not for specific charges, you do not need to apply it. Any charges that were entered into capitated accounts should have been written off at the time of entry. Neither capitation payments nor charges have any affect on your practices AR. Because you cannot apply the payment, it will never appear on most of your accounting reports. The only report that will show capitation payments is the Deposit List report. The only file affected through this process is the MWDEP.ADT file. 11. You will now see the payment listed on the main screen of the deposit list. 12. Highlight the payment and click Apply. You will see various fields that are grayed out. These fields do not apply to patient payments. By default, the only charges you will see are charges that have a remainder balance (meaning charges that have been paid by all responsible insurance carriers). If you would like to see charges with balances, regardless of remainder status, uncheck the box labeled Show Remainder Only. The Deposit List is a feature that is only available in Medisoft Advanced and Medisoft Network Professional. This feature will allow you to quickly apply an EOB to multiple patients. It will also track payments that have been entered into Transaction Entry. Any payments entered into Transaction Entry will be automatically entered into the Deposit List and will be listed in the Deposit List as applied payments. Prior to utilizing the Deposit List, it is important to know the different functions it can perform. It is important to note that items entered into the Deposit List WILL NOT affect accounts receivable totals until they have been applied to specific charges. This is important to note because it has implications on reports. Reports based on the Deposit List will not match reports based on the Transaction Entry file. This is because the accounting reports are based on the mwtrn.adt table. The Deposit List does not update this table until payments have been applied. We will now discuss some of the fields available to you and explain what they are used for. Deposit Date: When you first open the deposit list, the Deposit Date field in the upper left corner of the screen will default to the system date. Selecting a date in this field will allow you to see all payments made on that particular date. By default, you will see all payments made today. Show All Deposits: If you want to see all payments regardless of date, place a check mark in this field. Show Unapplied Only: This option will allow you to only view deposits that have not been applied, or deposits that have only been partially applied. This is useful in determining which deposits still require work. Sort and Search: The sort and search functions work in the same manner as the sort and search functions discussed in previous chapters. Detail: In the upper right corner of the deposit list you will see a button labeled Detail. This button will only be available if you have selected an existing patient or insurance payment that has been applied. Clicking this button will show you the patient accounts to which the deposit has been applied. The Deposit List Detail window can be printed by clicking on the Print Grid button on the right side of the window. This can be helpful for finding discrepancies between an EOB and what has been posted by allowing users to print the detail and compare. Additionally, the printed version will show the dates of service and procedures for the charges to which the payment was applied. Because you do not apply capitation payments, you will not have access to the Detail button when a capitation payment is highlited. Export: Clicking the Export button will allow you to export your deposit list to either Quicken or Quickbooks. Through the deposit list you can apply three types of payments. Capitation Payments: Capitation payments entered into the deposit list are not applied. Therefore they will not affect the practices AR totals. They will ONLY be reflected in your Deposit List reports. You will not see these payments on any other major accounting reports. We will discuss the process for entering and applying all three of these types of payments. We will focus on the fields that have the biggest effect on the process. For information regarding fields not discussed, refer to the Medisoft Help Files. Many patient health plans include deductibles. Deductibles are amounts that must be paid by the patient before the insurance carrier will begin to make payments for medical care. Generally deductibles are calculated annually. The annual deductible amount is entered into the patient’s Case screen on the Policy 1 tab. 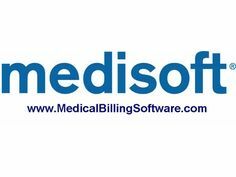 In addition to showing the Annual Deductible, Medisoft has the ability to track the portion of the deductible that has been paid in that particular office. Medisoft and other POMIS systems cannot track the total amount paid towards the deductible because some care could be performed in other offices such as insurance carriers and specialists. The amounts paid by the patient in these offices would be applied to the deductible as well, yet we would have no record of these payments. For this reason, the insurance carrier and the EOB should be the only indicator used by the office to determine whether or not the deductible has been met. This does not mean that the deductibles should not be tracked in the office. Medisoft offers a procedure code type for deductible entries. These codes should be used to identify which charges were applied to the deductible. This type of code will not increase or decrease the balance for any outstanding charges; it will simply allow the program to bill the patient/guarantor for charges that were applied to the deductible. Medisoft Basic users must enter these deductible codes through Transaction Entry. Medisoft Advanced and Network Professional users can enter these codes through the deposit list. Open Transaction Entry to the chart, case, and document or superbill number that contains the transaction(s) applied to the deductible. In the Who Paid field, select the primary insurance carrier. You will notice that you are not able to enter any amount into the Amount field. This is because the deductible code is not actually affecting the AR total. You will see a payment application screen identical to the Insurance Payment Application screen. All functionality is the same as an insurance payment application except the Amount column. The amount entered into this column will not lower the balance of the charge at all. You are simply specifying the amount that would have been paid if the patient had met their deductible. This amount will them be added to the YTD field within the patient’s Case screen.